It’s easy to get “wrapped up” in all the holiday fuss…twinkling lights, twirling trees, dancing ornaments, synchronized music lights flashing to tunes broadcast over a low-power FM frequency so passers-by can tune their car radios to your show (people really do this: How To). It’s a lot to take in – and I know it gets even crazier than that! My recommendation to the high-tech animated Christmas décor enthusiasts…hold the spike on the eggnog. My thought this year is to keep it simple. Sometimes we get to having so much fun preparing for this very special holiday that we forget the reason we’re celebrating. I don’t have a problem with vivacious holiday décor. We actually enjoy the tradition of driving around, kids in their pjs, looking at all the beautiful lights! I plugged a few things in myself AND one silly reindeer even moves his head (thanks to Nana, and the kids love it). Keeping it simple has more to do with the heart than with the electric bill at the end of the month, wink. I’ll be coming up with tips to help deck the halls a little more efficiently and leave some spare time for additional family fun this year! I’m NOT a naturally organized person (just ask my family), so some method to my madness helps a lot! I’ve found that both putting up and taking down our decorations is less of a task and much more enjoyable if we do it slowly. Hot cider one night, cookies and cocoa the next. Add some winter cheer with a warm fire and Christmas music…it starts to feel like fun! Phases also allow for me to take just one or two boxes out of storage at a time, decorate and put them back before beginning on the next. 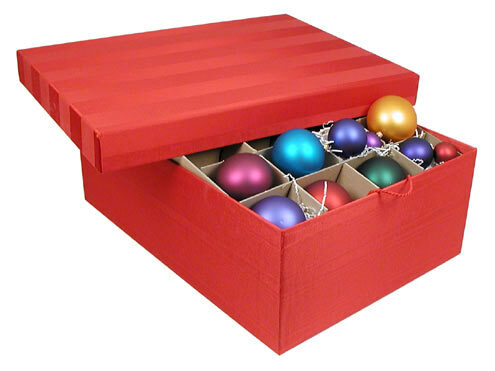 Christmas colored bins: a very good idea (working on it). What to do this holiday season? It’s a question families face each year as they set out to make the most of this special time together – living intentionally, creating memories to last a lifetime and going above and beyond to cultivate young, developing imaginations and instill strong ideals for quality values to be passed down for generations to come. So, how can one family accomplish this and experience an amazing evening of holiday cheer…a favorite pick of mine: The Santa Express Train at The Royal Gorge Route Railroad! Our Christmas ride was so much fun that we returned this summer to help with a media shoot. The kids found it rather entertaining that they had their hair and make-up professionally done – and we all got a laugh when dad had his nose powdered (yes, we’re saving that photo for later use). Si and Noelle also realized that helping with a photo/commercial shoot isn’t quite as simple (or as exciting) as they had imagined. It was a full day’s “work” and when we were through, we were all exhausted. (I’m most certain the photographers/camera men were ready for us to head out after some of the *impatient kiddo* behavior we demonstrated, hee hee.) Despite some fits and unpleasant attitudes (mostly the kids, ha) it was another great memory – including many laughs – aboard the Royal Gorge Route Railroad. There are days in which I go so far as to complain of the very graces that have been placed in my life. In this season of Thanksgiving, I pause to see the beauty in the gift of motherhood I have been so generously given and to reflect upon the simplest of life’s joys. Thankfulness is a timeless virtue – a tradition to surpass the limitations of a single, annual holiday and fill our every day with total, senseless exultation over even the smallest, most overlooked blessings in our lives. There are many things in which we have no control, several that we best not have sway in; there are things we can change and those we can not – one of the greatest gifts being the ability to recognize the difference. This year, I challenge myself, as a mother and as a member of humanity, to intentionally rejoice, make the very best of the moments I have and give thanks for the refinement in my spirit, regardless of the initial disdain I may feel. I hope to remember to pause and with soft, rose colored lenses, take a long look at the world all around…with a thankful heart. The holidays can pose a challenge when it comes to maintaining healthy habits. 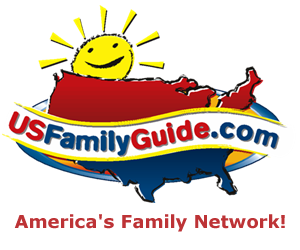 As the weather turns cold, outdoor activities become less appealing, leaving families with fewer opportunities for daily exercise. The food options multiply as we’re stuck indoors, thankful for the warmth of a hot oven and the comforts of tempting aromas filling the air. Being aware of these changes in food and activity are a great first step to staying healthy. LiveWell Colorado offers some great tips to taking small steps in the right direction in taking charge of your family’s health. I think the best way to maintain an active, healthy lifestyle is to make it fun. Winter sports are a great way to stay fit and discount equipment can be found at thrift stores – particularly those geared specifically towards sports. When I’m having fun, I’m far less likely to stop and overeat than I am to rely on the snack in my coat pocket. It’s one of my favorite tricks: pocket food! I admit I too often choose “pocket candy” and then keep meals healthy, but in a season of far too many sweets, I go for sensible snacks. Having a source of energy when in need helps me remain in control of my appetite and prevents me from overeating. Granola bars, cheese sticks and fruit leathers are just a few favorites in our home. Your blood sugar level will thank you! Want a fun, OrGAnIC and LOcAL snack – super tasty too? 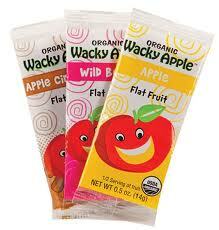 Check out the offerings from Wacky Apple. Their organic flat fruit is amazing, great for our bodies and fits nicely in a coat pocket. The only problem with this snack…it tends to vanish into thin air. Ok, so I’m pretty sure dad took the last fruit on his way to work, but he wasn’t aware of the promise that had been made to the kids at bedtime – that while they weren’t allowed to share the snack after brushing their teeth, they could have it in the morning with breakfast (Wacky Apple flat fruit bars have two layers so it’s super easy to share evenly – important stuff!). Luckily for me, I had Wacky Apple juice to offer up that morning. The container is wildly appealing, disguised as applesauce, hee hee. 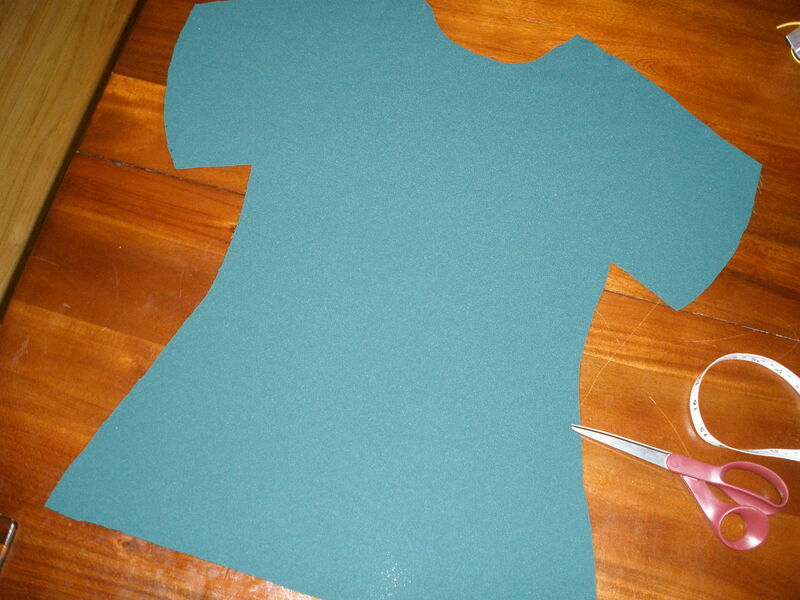 The straw can be stabbed right through the top – no rules – freedom in creativity…and it makes moms happy too! This could possibly be my last blog post ever…ok, I don’t really think that, BUT I could very well not survive tomorrow’s run. Why? Chalk it up to poor preparation – and the fact that panic is only just now setting in with the realization that tomorrow morning (let’s hope it’s not drawn out past the morning hours!) I will run approximately 7 miles further than I have ever run IN MY LIFE! Yep, I will do just about TWO consecutive 5Ks beyond the furthest distance I have ever run before. This could be painful. That which does not kill us makes us stronger, right? Well, I’m not normally one to live by that motto, but due to my lack of training and slightly insane determination to complete this goal, I’m repeating the mantra in confidence, hee hee. Truth be had: this really isn’t such a big deal – yes, some physical pain, but I have a medicine cabinet for that. I’m likely going to have to suffer a bit of lost pride too – because I’ve NEVER won first place a race in 10 years – AND this one won’t be pretty. I can do with less pride though. So, really, what’s there to loose…yes, the extra pounds from the Halloween candy. That’s a sweet benefit of this form of self punishment. With the free food and beer waiting at the finish line though (assuming I make it there before it’s gone,) I’m not sure there will be much of a caloric deficit in all this. Before you start thinking I’m some sort of crazed masochist, I should explain that I really have been training – just not quite enough (little technicality, whoops.) I also don’t have the competitive drive that I’ve seen in the men in my life – my brother has proven that he can (and will) do just about whatever it takes to assure that he doesn’t let his sister pass him in any running event – EVEN if it means pushing his limit. I admire him for his spirit of determination and follow through! I simply just won’t do that. My competitive desire is far less than that for a reasonable comfort level, ha. I WILL WALK if I have to! The coolest thing about my lack of preparation: I know I’m going to have to rely on God to get me through. I AM going to struggle and want to quit…and lucky for me, I can’t quit. This is a backcountry race, and even if I don’t get lost, I’m going to be out in the middle of nowhere and have to get myself all the way to the finish line – unless I want to sleep with the coyotes. It’s just one of the reasons I run – because I’m NOT good at it AND I can’t do it on my own. Yes, I usually like to make sure I’m a bit more ready than this, but it is what it is. Life has a lot of ways of putting me in a position of fully surrendering to His will…this is just one I actually choose! I can only hope this makes me stronger ~ and that this won’t be my final blog post! 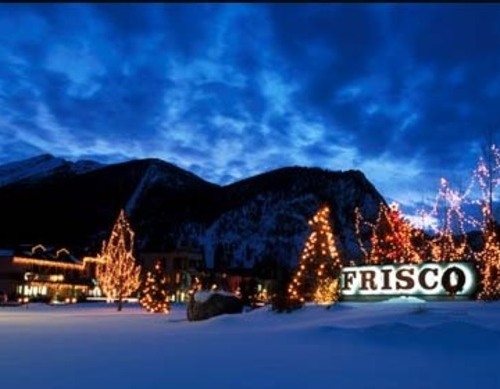 The Wassail tradition continues this year in the quaint, mountain town of Frisco, CO…but this festive, family-friendly week of events isn’t your every-day holiday celebration. Decked with creativity and a novelty all it’s own, Wassail Days inadvertently promotes health and wellness (don’t tell Santa). 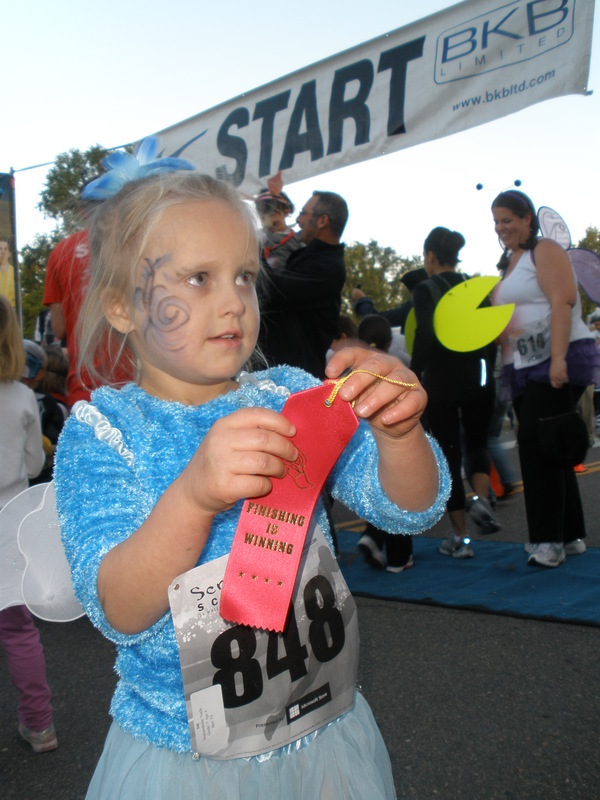 Children adorned in Santa gear will dash 1K to a fun run finish line to reap their stocking filled with goodies – including free sledding (another fantastically healthy activity disguised in super family fun) and Wassail cash to be used at designated venues in town. If you’ve never spent a day in Frisco, you’re missn’ out! Come early and stay late…this little town lights up at night in a way that only a frosty, Colorado Christmas mountain town can AND you’ll stay warm sipping a vast variety of delicious wassail! This year Frisco is kicking off their annual Wassail Days (Dec. 3 – 11) week-long holiday celebration with SANTA DASH FOR CASH – a 1K “fun run” – participants must wear Santa gear! Frisco will help you out, when you register at www.wassaildays.com you will receive a Frisco Santa shirt, a Santa hat and at the end of the run you will receive a stocking full of goodies including Wassail Cash (the official currency of Wassail Days that can be used at local restaurants and retailers) and a FREE pass for a ½ hour of tubing at the Frisco Adventure Park Tubing Hill. 12/3: $25 entry fee for SANTA DASH FOR CASH – receive Frisco Santa shirt, a Santa hat, Wassail Cash, ½ hour tubing pass for Frisco Adventure Park. 12/11: Final voting day for the Wassail competition – sip and vote for your favorite wassail for FREE at participating retail shops along Main Street in Frisco. You never know what you’ll feel inspired to create!